Posted October 27th, 2018 at 7:16 pm | Log in to reply. Thank you very much for your recipe Maangchi! Posted October 28th, 2018 at 9:54 am | Log in to reply. 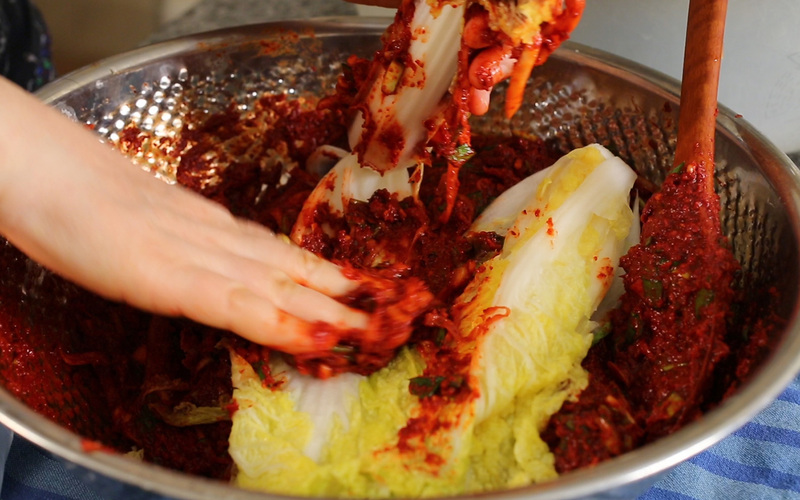 Your first time kimchi making turned out successful! Congratulations! Posted October 24th, 2018 at 7:32 pm | Log in to reply. You are my favorite Korean cook, Maangchi! Have been your fan for a looong time! 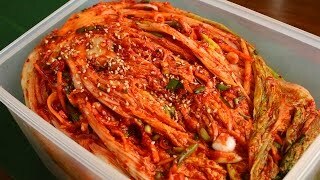 Here is my kimchi I made! I am vegetarian, and avoided the fish sauce, It came out delicious! Posted October 28th, 2018 at 10:03 am | Log in to reply. 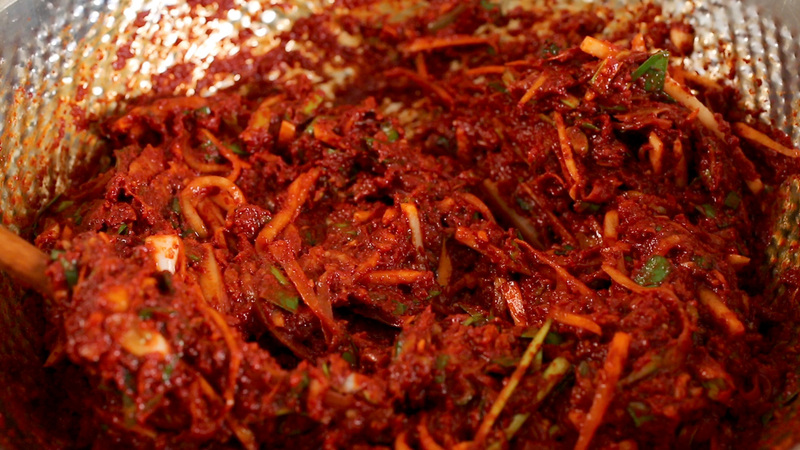 That’s interesting you made vegetarian kimchi, great! Posted October 24th, 2018 at 11:01 am | Log in to reply. 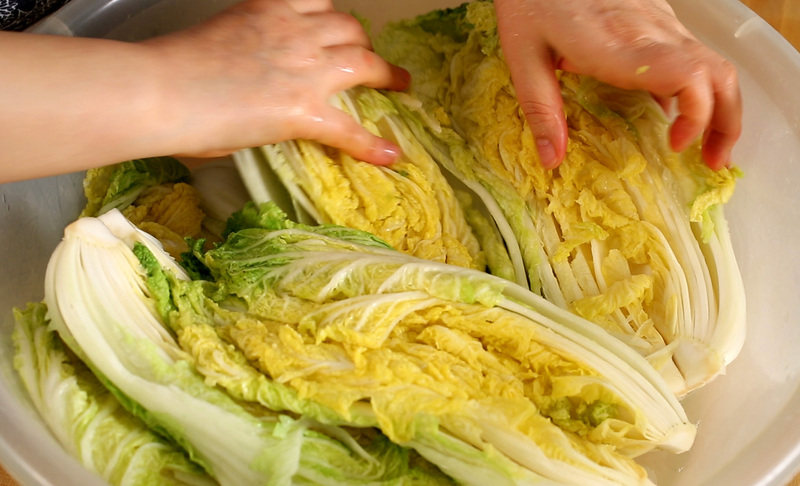 when salting the cabbage a lot of water comes out, do I throw it away or just add all into the kimchi? Posted October 28th, 2018 at 10:04 am | Log in to reply. 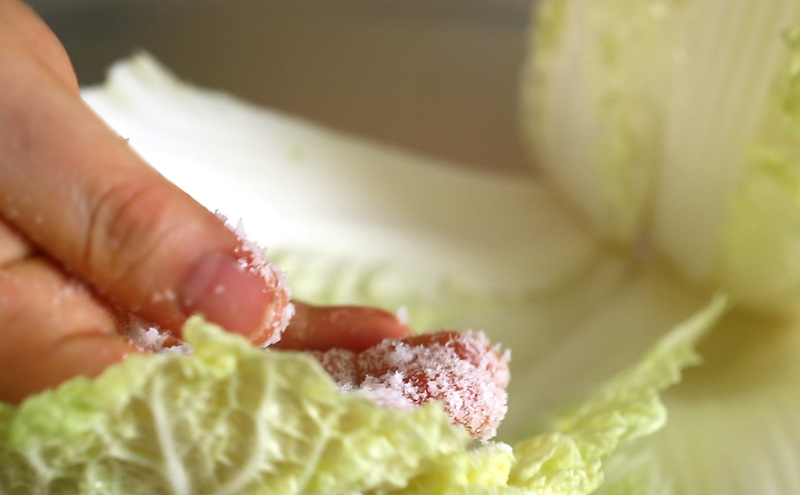 You have to wash and rinse the salty cabbage to remove excess salt and dirt, and strain. Just follow the recipe, please! Posted October 19th, 2018 at 1:59 pm | Log in to reply. Thank you very much Maangchi for the recipe! 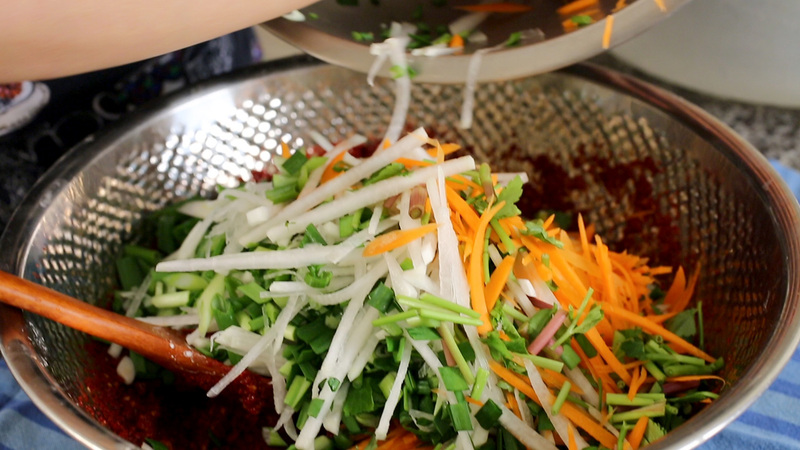 We use natural liquid seasoning instead of fish sauce and soy sauce instead of the fermented shrimps. 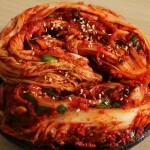 Fantastic kimchi – we love it! Posted October 19th, 2018 at 7:28 am | Log in to reply. 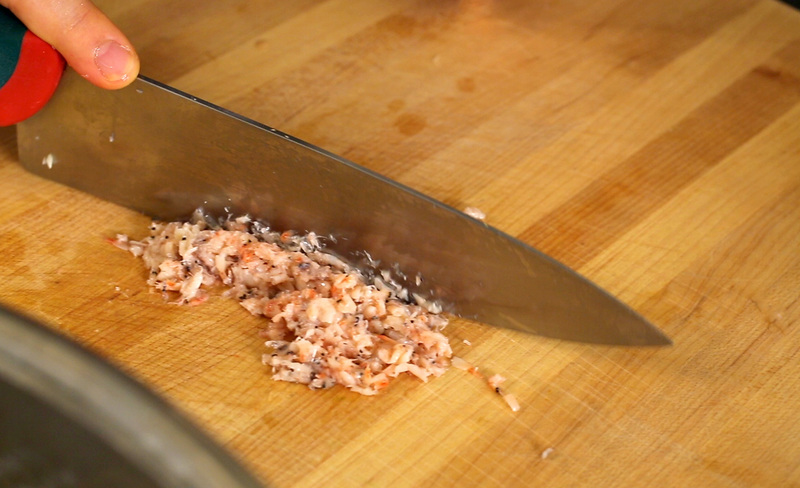 What do you guys think the most important tool needed to make kimchi? I think it’s your hands but I want to hear it from you guys. Thanks! Posted October 13th, 2018 at 4:57 pm | Log in to reply. Posted October 19th, 2018 at 12:30 pm | Log in to reply. Congratulations! 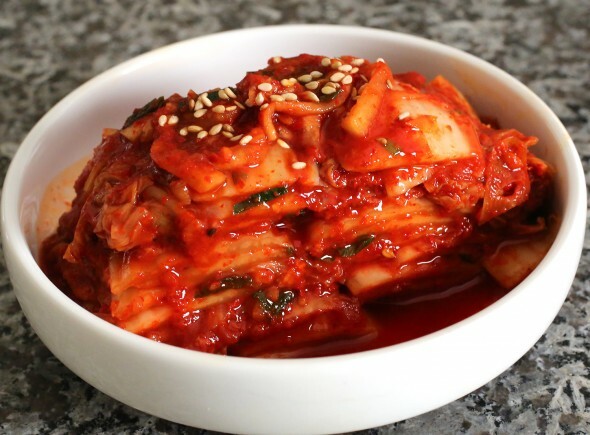 Now you can make many different kinds of dishes with your fermented kimchi! Posted October 11th, 2018 at 8:01 am | Log in to reply. Good morning Maangchi, I hope you’re doing well. Long ago and far away, I worked with a Korean girl. We were shop girls together. 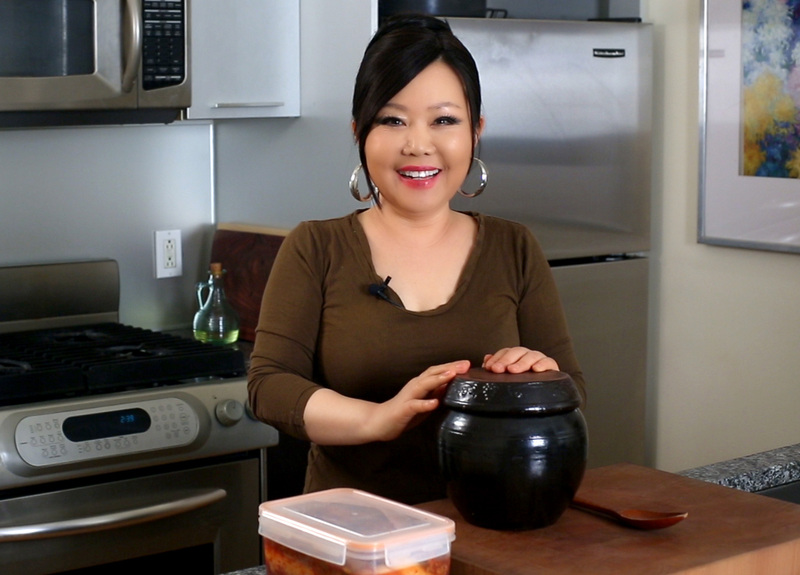 She would bring in her grandmother’s kimchi, and it was so good! She told me how her grandmother would make it in huge buckets. My friend would bring in a slow cooker and make soup for everyone, and many times she added some home made kimchi…. Happy memories! 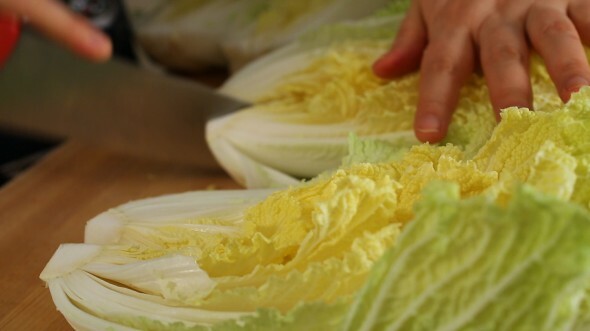 Since then, I’ve wanted to learn how to make traditional kimchi, and now I know how! Question – I am Jewish and keep a kosher home, so I am unable to use shrimp. I was wondering if I could use anchovies or anchovy paste instead. I can find kosher fish sauce, but I need to figure out what to do about the shrimps. Posted October 12th, 2018 at 5:40 am | Log in to reply. 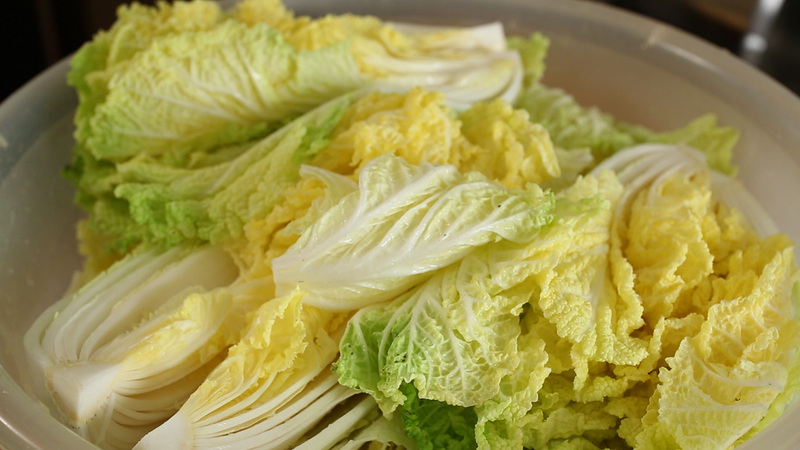 I am a home-cook who makes his own kimchi from time to time, and, I have to say, Maangchi‘s recipe is one of the best that I have ever seen. I love the fact that, for example, you can either eat it freshly made or wait a few days – if you can wait that long! I am using Maangchi‘s receipt today myself. 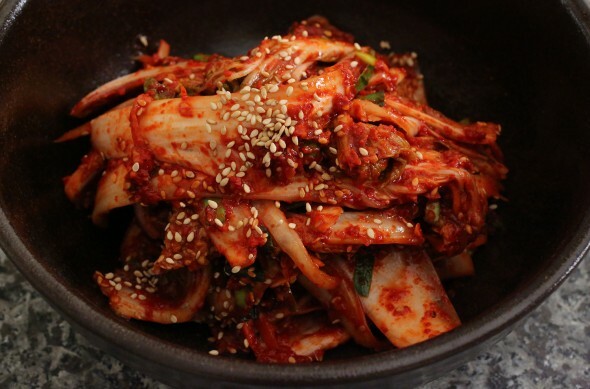 Now, on to your question about the fish element of kimchi and, whilst a lot of kimchi recipes do contain some sort of fish element (often in the form of shrimp or oysters, neither of which is suitable for someone observing the Jewish dietary laws), a lot of recipes do not contain any fish whatsoever. Obviously, if you’re making the kimchi for a vegan (or a vegetarian who does not eat fish), you’ll leave out the fish element, as well. 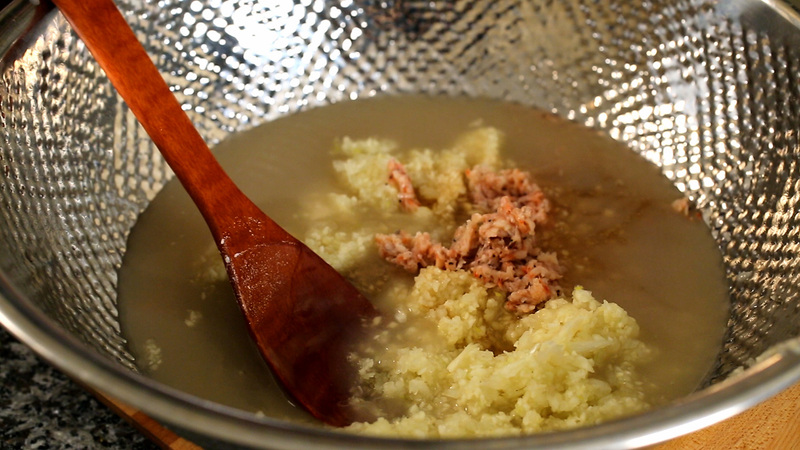 What the fish element brings to the finished product is a slight, salty-savory undertone (what the Japanese call ‘umami’), but it is not a dominant flavor in the kimchi, so it’s not the end of the world if you don’t want to add any fish element to the dish. 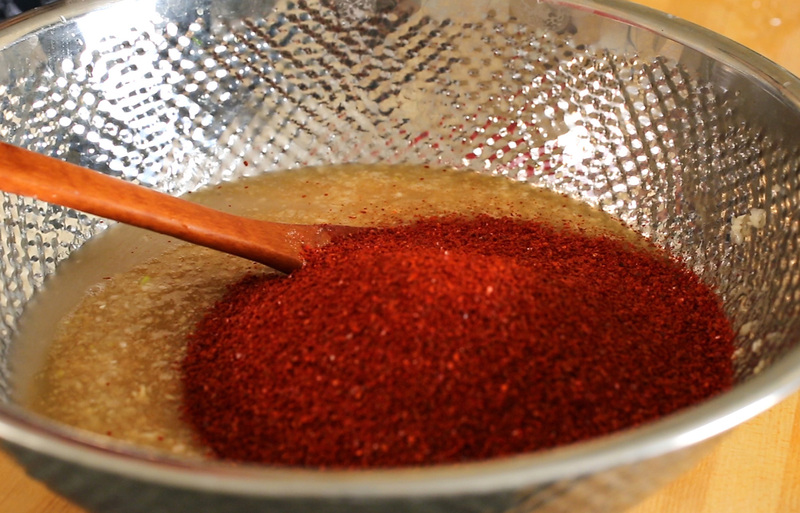 If you do want to add a fish element to the dish, definitely consider adding a fillet or two of tinned anchovies to the ingredients that make up the spicy paste that you use to coat the cabbage (I’m looking at a tin of them in my pantry right now and they don’t contain anything that, to my knowledge, would render them non-kosher – it’s just the anchovies themselves, sunflower oil and salt). I’ve also consulted a couple of lists published by Orthodox organizations and they accept anchovies as a kosher fish. No doubt you’ll want to check the kosher status of anchovies for yourself (rather than relying on a stranger via the internet), but, in any event, if you want to keep the fish element of the dish but don’t want to break your dietary laws, anchovies might be the way to go for you. Posted October 11th, 2018 at 2:03 am | Log in to reply. Hi Maangi! Hope you are doing well (: I was wondering if I could use the fermented shrimp sauce AND raw oysters or should I stick to using just one or the other? Posted October 10th, 2018 at 12:07 am | Log in to reply. Maangchi, your recipes are so amazing. My husband and I met while we were stationed in Korea and I love being able to make all of our favorite Korean meals here in America. Thank you! 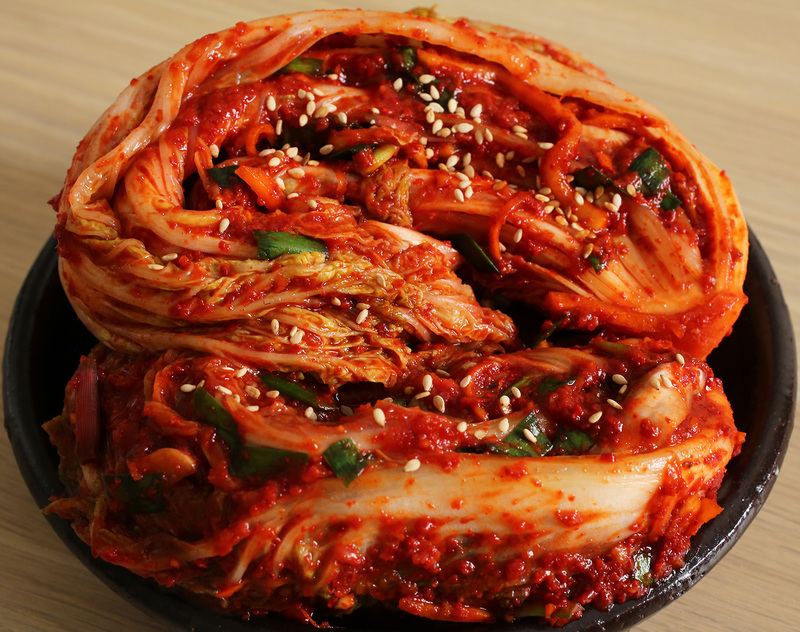 Your kimchi is a must-have in our house! Posted October 6th, 2018 at 5:29 pm | Log in to reply. Posted September 30th, 2018 at 2:58 pm | Log in to reply. My kimchi. It’s super yummy. I gave a jar to my sister in law, along with your kimchi guk recipe. I made it for her once before and she loved it. So she asked me for the recipe this time. Also I’m giving a jar to my dad. He loves my homemade kimchi. Your recipe is my favorite that I’ve made. I will certainly be making more when this batch runs out. Posted October 3rd, 2018 at 8:37 am | Log in to reply. Continued good luck with your Korean cooking! Posted October 3rd, 2018 at 6:25 pm | Log in to reply. Posted September 30th, 2018 at 10:12 am | Log in to reply. Ooo what a great recipe! I always make a little extra paste so i can add other veggies down the road! Extra peppers or cucumbers or carrots? Into the onggi they go so they can dancing around for a bit! Posted September 30th, 2018 at 10:45 am | Log in to reply. Posted October 3rd, 2018 at 8:35 am | Log in to reply. Posted September 30th, 2018 at 9:12 am | Log in to reply. I was wandering, my kimchi has over a year now and it sits in a fridge all the time. How would I know if it’s gone bad? Posted October 3rd, 2018 at 8:34 am | Log in to reply. Check out the top of your kimchi. If it’s brown or has any white fungus, just remove that part. 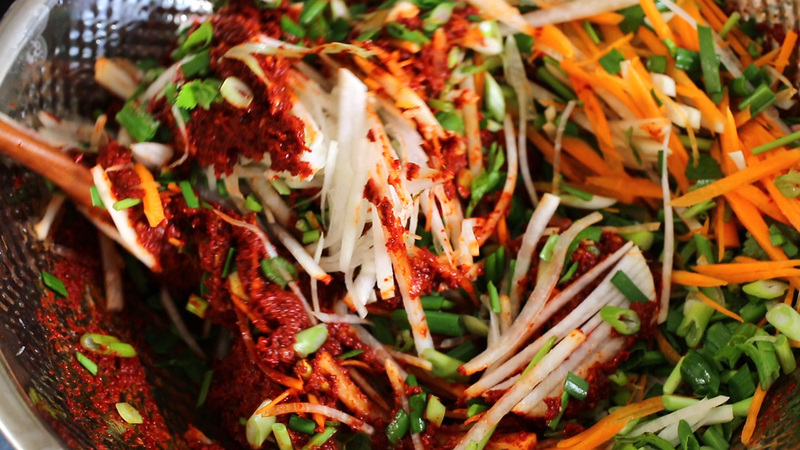 As long as the kimchi underneath is red, you can eat it. 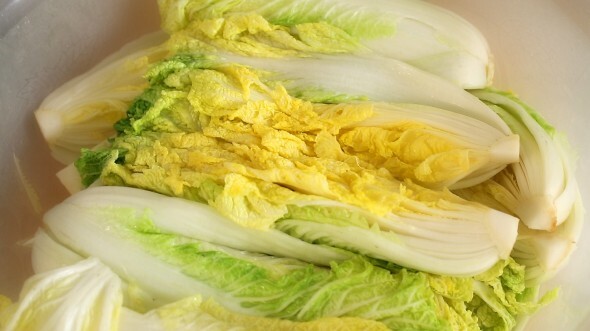 The top might be oxidized but the kimchi underneath is fine. Posted September 25th, 2018 at 6:36 pm | Log in to reply. Posted October 3rd, 2018 at 8:32 am | Log in to reply. That’s awesome to hear you got a compliment from your boyfriend like that! Congratulations! Posted September 25th, 2018 at 11:41 am | Log in to reply. My daughter and I made this recipe a couple of months ago. It’s was so fun to do this together. The recipe was great! 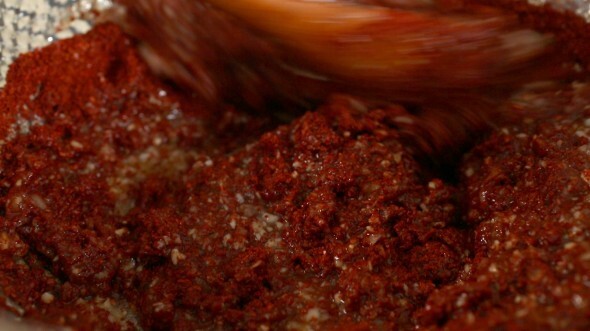 We used the shrimp paste and fish sauce. We’ve shared some with neighbors and they also have loved it. Posted October 3rd, 2018 at 8:31 am | Log in to reply. 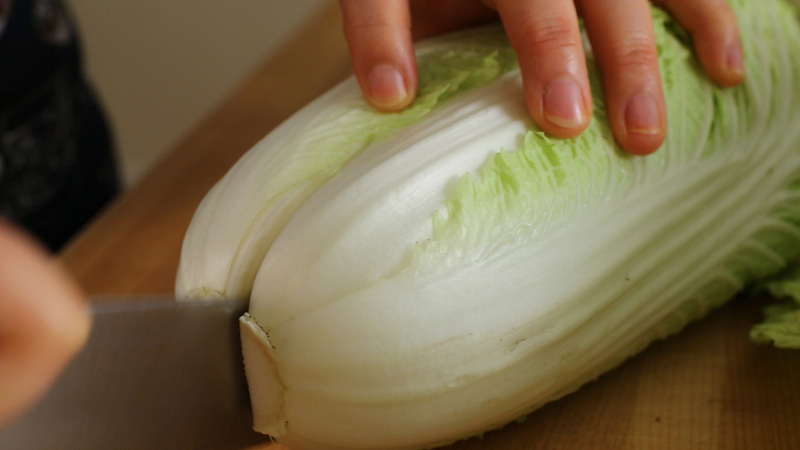 OMG this kimchi looks so good! It looks like it was made by a Korean housewife who has been making kimchi for decades! Clap clap! The video was watched 11,002,971 times on YouTube & has 164,688 likes!